Greater recently, we've got seen the evolution of a few more casual leather-based jacket patterns with one of the most popular being the varsity jacket. The leather jacket can provide you with extra of an athletic appearance and is an extraordinary piece to throw on over informal clothes. The college jacket is an extraordinary addition to an informal cloth wardrobe and may be worn brilliantly. While pairing the jacket with jeans it’s critical to don't forget how the jacket fits. To make certain an authentic appearance William Jackets provides you with the high-quality leather jackets. 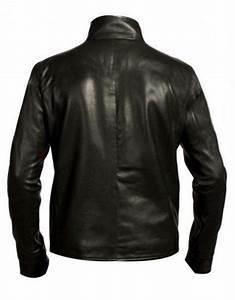 We provide our customers with high-quality leather jackets that are made up of top quality leather. William jackets provide you with cosplay costumes that are inspired by different movies and TV serials. Let's have a look of cosplay costumes.Tom Holland Spiderman Homecoming Homemade Peter Parker Hoodie is one of the favorite cotton jackets of customers. It's time to inspire your friend with the jacket of famous character of Spiderman. This cotton jacket is inspired by famous movie Spiderman Homecoming where Tom Holland has depicted the main character of Peter Parker also known as Spiderman. This jacket is made up cotton material with zip closure. This jacket has a hooded collar with open hem cuffs. This jacket is best for any kind of functions. Choose Tom Holland Spiderman Homecoming Homemade Peter Parker Hoodie and show your love with Spiderman.K.J. Apa Archie Andrews Riverdale Blue And Yellow Varsity Jacket Are inspired by TV show Riverdale and KJ Apa has depicted that famous character who has wear that attractive jacket. KJ Apa is a high school football player who has a passion for music. This jacket is made up with a wool blend. It has a rib-knitted collar with rib-knitted cuffs. With a color combination of blue and yellow, it looks more unique. Select Archie Andrews Riverdale Letterman Jacket. It will never let you down.If you are movie lover then how can you forget the Batman Adventures and smash hit movie Suicide Squad. This character has been depicted by Margot Robbie. She used to wear this beautiful Harley Quinn Jacket. this jacket is made up satin material with viscose lining inside the jacket. it looks more stylish with its red and white rib knit cuffs and collars. Harley Quinn Jacket is famous due to its property of Joker logo on the back of the jacket.Just go to William Jacket.com and Superman Smallville Maroon Jacket and Pink Ladies Sandy Grease Jacket.